A Nigerian Christian schoolgirl abducted by Boko Haram jihadists has called on President Muhammadu Buhari to secure her release, local media said Tuesday, citing a purported audio recording of the hostage. Leah Sharibu, 15, was among more than 100 schoolgirls abducted from their hostel in the town of Dapchi in the restive northeast on February 19. In an unverified recording Boko Haram sent to local media late Monday, Sharibu begged Buhari to work for her freedom. "I plead with... the government and the president to have pity for me and save me from my situation," Sharibu said in Hausa, a language widely spoken in the north. The audio was accompanied by a picture of Sharibu clad in a light brown hijab revealing only her face, sitting on a mat in an undisclosed location. "The secret service is analysing the voice. Our reaction will follow the outcome of the investigation," Buhari's spokesman Garba Shehu said on Twitter. "For President Buhari, nothing will be spared in bringing all our girls home. He will not rest until all of them are freed." Nathan Sharibu, Leah's father told AFP Tuesday, "The voice in the audio is no doubt that of Leah. "As her father I can't mistake her voice. I'm delighted to have heard her voice because it proved beyond doubt that my daughter is still alive," he said. "The government has not contacted me to verify if the voice is indeed that of Leah," he said, urging the authorities to secure her release. Fighters believed to be loyal to an IS-affiliated Boko Haram faction led by Abu Mus'ab Al-Barnawi abducted the girls after storming the Government Girls Science and Technical College in Dapchi in Yobe state. Although more than 100 Chibok girls have been freed or rescued, some 112 are still missing. 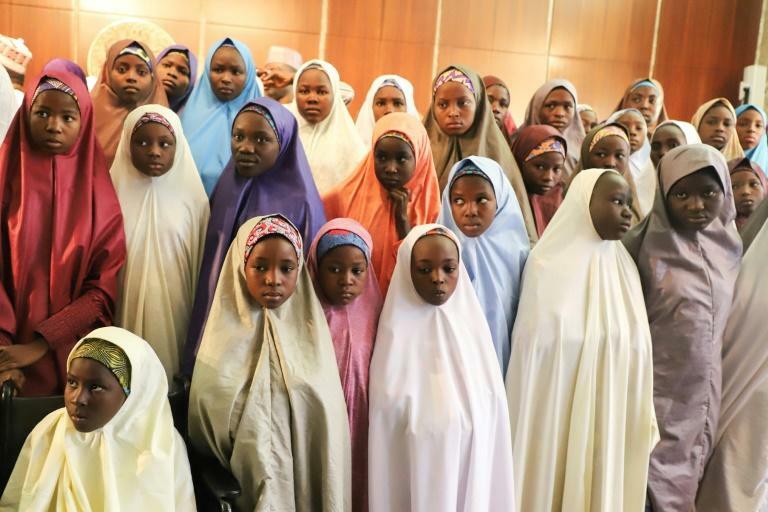 Both the government and the jihadists claimed no ransom was paid, but a UN report this month said Nigeria paid huge sums for the girls' release. Sharibu's case has stoked tensions among Christians, who have accused the government of failing to do enough to secure her release. Nigeria is roughly evenly divided between Muslims and Christians and religious tensions lead to occasional flareups. Sharibu's captivity has become a political issue with Buhari seeking a second term in office in February elections.